I think that the next game or one of the next few games will take place in Classic's timeline now that Classic and Modern are different people. Especially so considering the great reviews Mania got. There must have been a reason that they put Classic Sonic in another dimension / timeline / world as Modern. Two videos of Metropolis: Those huge Infinite structures are quite unsettling. I'd like to be PM'd the stream link too, please. We were given a peek at the White Wispon: Look at the antennae; they match the White Wisp. What would Infinite's super form be? There's not much more you can be than "infinite". I was thinking Infinite Cubed, but that sounds way better. "Absolute Infinite is an extension of the idea of infinity proposed by mathematician Georg Cantor. It can be thought as a number which is bigger than any conceivable or inconceivable quantity, either finite or transfinite"
I dunno, maybe Infinite Overdrive? Eternal Infinite? His unmasked form will likely be his super form. When the mask comes off, he becomes more powerful. I hope Classic didn't lose the Ruby. It'd be really cool to see him use it's powers. It'll turn him into Coldsteel. Is anything alive truly faster than Sonic? Shadow used the emeralds, so it doesn't count. 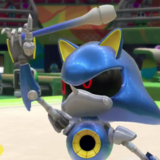 Metal Sonic is a robot so that doesn't count either. This leads me to believe that Infinite either isn't living, or he's using a power source (backing up the theory that the crystal on his chest gives him the power). Shadow without his inhibitor rings /could/ arguably be faster than Sonic, but we have only seen him remove them in a few scenes, and I don't think it's ever been side by side compared to Sonics speed. Good point, I had forgotten about those. 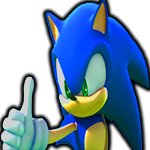 Eggman runs exactly as fast as Sonic in multiple games, so take that as you will. I'm really digging the style of this Chemical Plant. The style is drastically different than the Chemical Plant iterations we've seen and it's refreshing. Matter of fact, the only striking similarity is the name of the stage itself. Although from the screenshots it looks awfully linear, it's too soon to tell if the entire stage will be like this. I'm really hoping that they'll use the spin-tube mechanic from Sonic 2 and Mania. Could I have status updates enabled please? It seems that when you upload or embed an image, the maximum width is 400; but if you copy the entire image image element (NOT right-click -> "Copy Image") from an external source such as another website, you get it full size. 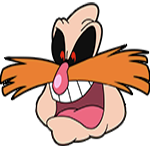 This following image element was selected in the Sonic Wikia and pasted directly here (note the Full Size: ) I selected it by dragging the area around the image until it turned blue (meaning that it was selected), hit Ctrl-C, then headed over here and hit Ctrl-V. I can't quite understand what the first tweet is saying, but the second one says "A story like this?" and also "Caution: There is no such scene in the product." We've seen this place before. It's at 0:09 in the gameplay footage. You can even see the same broken rafter if the top-right in the video.